As marketers, our email list is the string-in-the-bow of our communications arsenal. Where all other communication means fail, emails had proven themselves time and again as a reliable source for continued outreach. However, collecting email addresses is not a simple task – particularly when dealing with the skepticism, people feel when they consider sharing personal contact details with an unknown third party. You see, email has been around for more than 20 years, and despite your terms and conditions’ glowing commitment to protecting users’ privacy, most people have had one or multiple experiences in which their email was passed on to third parties for others’ commercial gain. Unquestionably, handing over an email address requires a level of trust that can only be gained via a positive interaction. 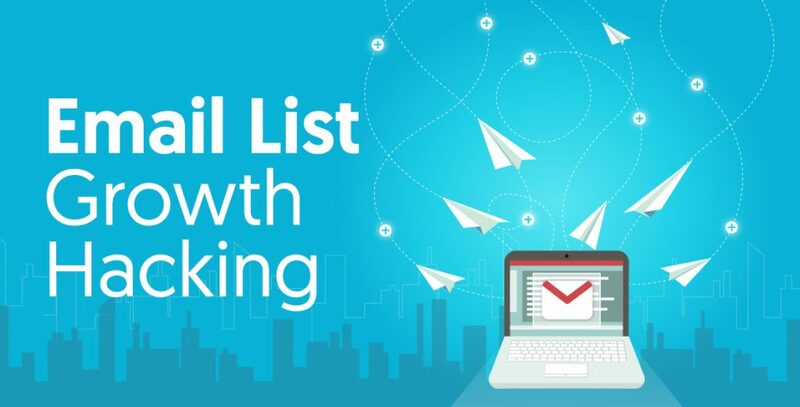 That’s why the key to maximizing your email list’s opportunities for growth lies in creating an authentically valuable user experience that will both boost retention rates and drive new customers to sign up. Make it worth their while! To get something valuable from me, you’ll need to give me something that will match the value of the email address I’m about to provide. This means that if you want to increase the size of your email list, you have to offer something great in return. It is imperative to build trust among your subscribers in your ability to create and deliver top-notch content, regardless of whether it is a paid subscription or a free service (the majority of email newsletters are the latter). Although not a hack, it’s the base of everything to come. Regardless of how you see email fitting into your organization’s broader marketing mix, delivering quality content is a reliable mechanism to ensure that your company becomes an authoritative trusted voice in whatever niche it operates in. In fact, the list of thriving online startups that originally started as an email list before morphing into full-fledged online businesses is extremely long and includes household names such as Product Hunt, Startup Digest – and yes, even the formidable Craig’s List. Therefore, never downplay the contribution that well-produced email content or content that helps you to onboard subscribers/users successfully to your list, can make to your organization’s overall success. But it’s not a quick hack that much is true. Good content ‘s hard to produce, and there is a full spectrum between good and amazing. Many recommend that it ideally should be good enough that it gets shared by people who are not your mom and close friends. But alas, to hack your list’s growth you’ll have to invest a lot before you can proceed to the hacks below. Once you have that content, get ready to spread it. Sure, spreading your content might feel awkward a bit at first, but it’s the only way to get it out and to get it discovered. After that, your content will catch wings if it’s good enough, or that’s the way the story goes. The reality is quite different; you’ll have to get creative when spreading your content, and you’ll have to make sure that every time you do so, you sound authentic and fresh as if it’s the first time that this content hits your owned and non-owned channels. Create content snippets that are adjusted to the different channels you’re about to hit. Look online for opportunities to pitch and distribute your content, your content can be a possible solution for a problem or a pitch, it doesn’t matter, as long as it’s contributing to the conversation it’s all good. Some tools like Google alerts and mention can help you monitor certain keywords, allowing you to respond fast and be extremely relevant. On your content, place subscription options which will allow readers to register. Work with services like Outbrain to spread your content to large websites, then create offers that will attract new subscribers to your offer via Outbrain’s pixel. In your email’s body, make sure that you share links to all major social media platforms, and that they are scattered where they should be and not all over the place. Help users to share your email’s content by placing Facebook and Twitter share buttons that have a summary already in them to maximize exposure. Make sure that you test several viral loops (viral loops are campaign mechanisms that like viruses are used to ‘infect’ readers, causing them to share content with other people) to make sure that your readers circulate your content and that their network interacts with your offers more effectively. Routine is the base of all habits. A pet peeve of email marketers is to schedule email content inconsistently. You have to schedule and plan your email blasts carefully. Too often, companies will neglect to send any email to their lists for months on end before delivery a deluge of information, and when it lands, it’s usually at a time when subscribers are likely to be wading through already-inundated inboxes (the holiday season springs to mind). When you send email periodically, you’re able to see when readers opened them and when they clicked inside (you can do it easily by tagging links in your email with Google Analytics). In particular, begin segmenting users into groups such as those by geographical origin, and pay close attention to the times of day at which your campaigns enjoy their best success to know when to launch them. Do your readers like to scroll through the entire email, reading everything there? Or are they more into pressing on links and sharing, interacting with content better once they’re on your website? The first behavior might indicate that your readers are probably consuming your content via mobile (and probably on a toilet seat). The second might suggest your content is really actionable, just track how they behave and help them choose what’s right for them. Observing behavior that repeats itself in a group of users allows you to personalize these email. This information together with scheduling your content right should translate into actionable insights which you can use to deliver campaigns, that arrive at the right time, and with the most engaging content for your readers. One of the oldest tricks in the book for increasing engagement and followership is also one of the most effective. Giveaways and contests, even if only periodic, are wonderful mechanisms for boosting users’ interest in your list building efforts. Thankfully, there’s no need to shoot for the moon straight off the bat either. Leverage your network (or tap the local representatives of major international brands) to find organizations which have promotional materials ready for distribution, and which already have budgets in place for giving away some merchandise (often, surprisingly many). This mutually beneficial arrangement will help you to connect your brand with large brands and offer value to your users at the same time. 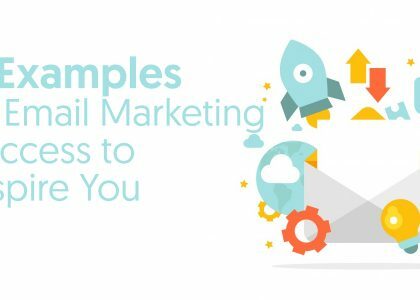 Connecting to an interesting offering creates trust, and delivering it exclusively to your email list increases reader adhesiveness, it shows that you value your email list subscribers. Doing so has the potential to create a powerful word-of-mouth incentive for those not already on your list to consider joining, it’s that good! With rudimentary HTML skills and free email marketing software such as MailChimp, it doesn’t take the programming skills of a coding ninja to effectively create and position opt-in forms which can be embedded at strategic locations throughout your website. But don’t just think of your website when assessing where to place digital signup invites. Every touch-point in your subscriber/customer/user journey is another opportunity to sign them up. Does your business send text messages to mass groups of users from time to time? Consider mentioning your newsletter the next time you are contacting that list. Does your business have a PBX or telephone messaging service installed? If so, perhaps the newsletter could be mentioned as customers wait to speak with a customer service representative. Adorn business cards, promotional material, etc. with as many references to your newsletter as you think is appropriate. You can even use creative ideas such as a business card drop-off tray (tied with the offer of a weekly prize) to allow other offices in your building to sign up for your newsletter. Ensure that you have a landing page in place that can consistently convert casual traffic from all external sources. It’s easy to build just that one landing page for traffic from social and campaigns, but since you are the live embodiment of the service you offer to your list, you need to ensure that people, who enjoyed interacting with you, continue to do so in the future via subscribing to said list. Have you ever considered changing your behavior to increase the size of your list? The explosion of mobile devices had done away with the good old days when building for a few common screen resolutions was all that was required. Nowadays, there are no fewer than 19,000 different screen resolutions on the mobile market, so hoping that a glitzy popup or two will lure visitors to join your newsletter is an unwise gambit. Secondly, although pop-ups have long been a favorite source for marketers to drive newsletter signups, this research makes clear just how irritating the typical internet user finds them. A full 68% of users would try to block a website for hosting too many advertisements, while a significant percentage of users are also equipped with means to block them entirely. Paying significant attention to user interface concerns is key in determining what sort of collection method you’ll use in your offer (creating new windows, for instance, is the most horrible way to do it). 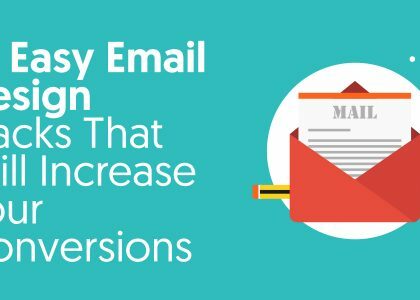 Lightboxes, popups, and notifications all have their strengths and weaknesses, but the type of email list you are compiling will be the chief guide in determining which of these is most effective in your situation. Test out strategies one-by-one before determining with what you’ll stay, you can’t assume something will work, and even if something works, you’ll have to monitor it because finding the correct balance between effectiveness and not annoying customers is an ongoing task. For instance: while a travel deals newsletter could be served well by an enticing popup showing a fascinating depiction of the Eiffel Tower, a newsletter providing a daily digest of developments in taxation law may not require as much screen space, or even a photograph, to attract users. In the latter case, a simple link added to the end of every article could be sufficient. If you don’t have an in-house graphics team that has the tools and skills to deliver ready-made marketing collateral, consider using a third-party service such as Sleeknote (a visual popup builder) to design truly eye-catching material that will wow visitors. For the introverts among us, shyness and email marketing do not, unfortunately, go hand-in-hand. By all means, use every tool at your disposal to drive organic traffic to sign up for your newsletter, but don’t forget to tap into the power of your existing professional and social networks to build that first critical mass to take your subscriber database to the next level. While adding people to a list without their consent is possibly illegal (not to mention that spamming is not a good idea), it can reduce your sender score, get you blacklisted and it damages your business reputation as well. Don’t hesitate to tell your friends and family about what you are hoping to achieve with the email campaign and the type of great content that they could receive by signing up! Besides joining the list themselves, they might have helpful ideas about other interested parties that you could reach out to. Also, while adding people without their consent is bad practice, inviting them to sign up isn’t. You can export CSV files of email addresses you may already have from your Google Contacts, LinkedIn, or other online networks and then import these into an email marketing client to send out an invitation for them to sign up. Depending on the size and breadth of your social networks, you might be surprised to find that this is an effective means of quickly expanding the reach of your email list. If there’s a professional contact in your network who you know might be interested but whose address you don’t have, email finding search engines such as Email Hunter can provide powerful insights into an organization’s email structure as well as look up individual addresses that its crawlers have found on the internet. Building an effective email list is a long term endeavor and one that requires a multi-pronged marketing approach to be successful, sure, some of the techniques here are not scalable, but you don’t need scalable to boost registrations quickly, you just need to continue until you find that scalable golden nugget. Until we meet again, keep your email lists clean!